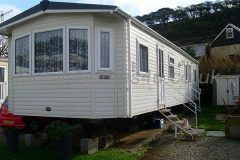 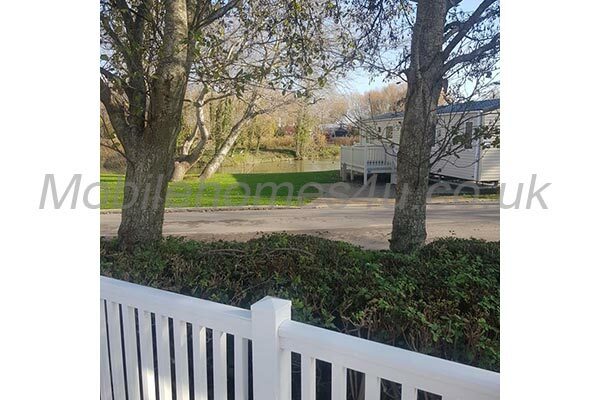 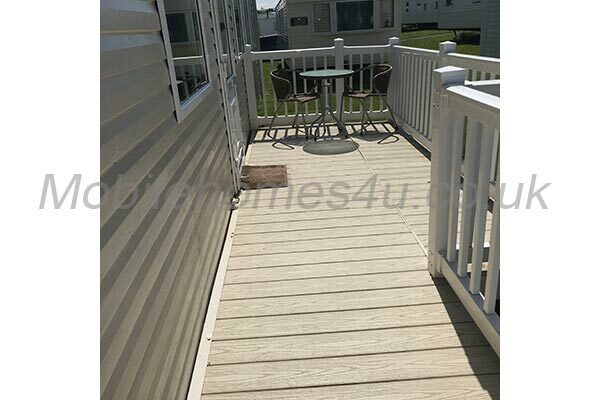 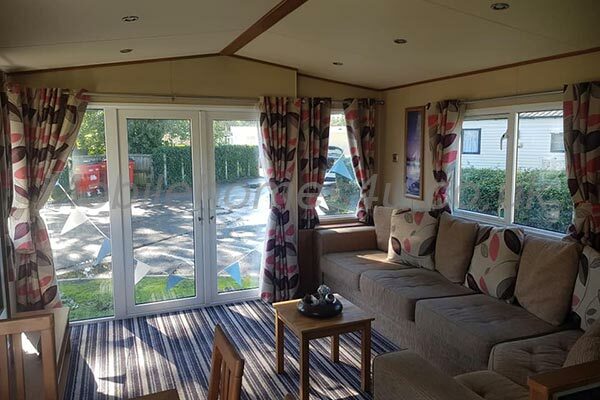 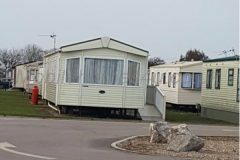 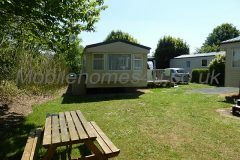 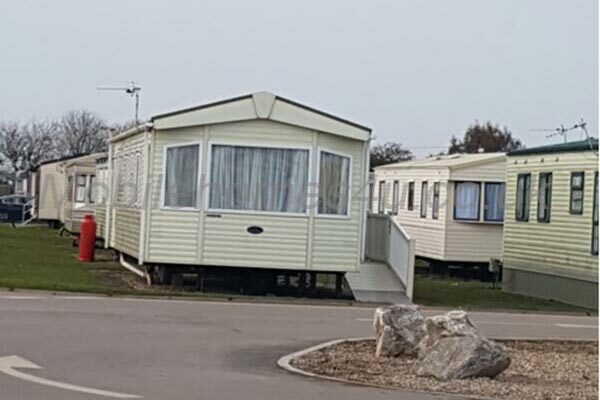 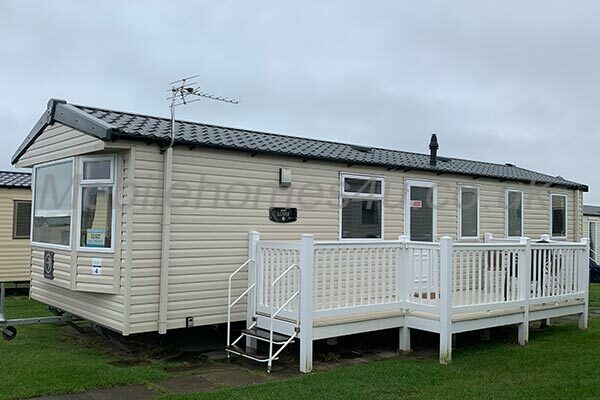 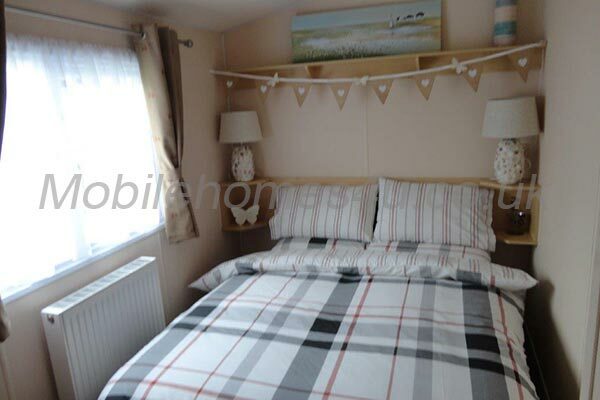 The 3 bedroom eight berth home is just a two minute walk from the beach Challaborough Bay and the stunning surrounding countryside. 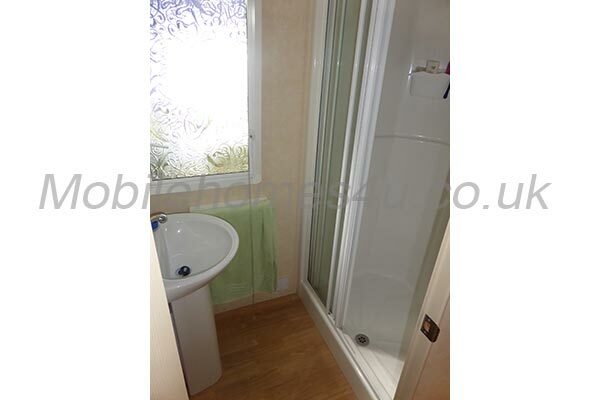 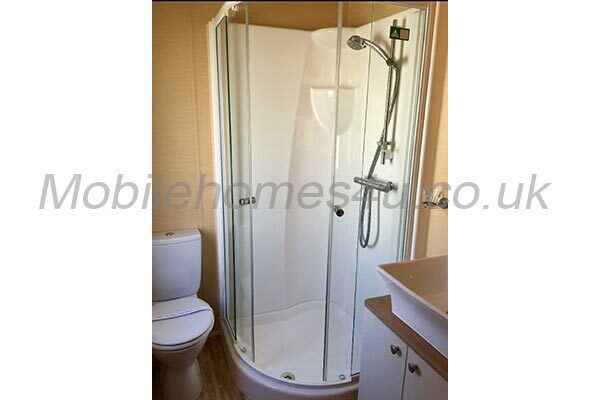 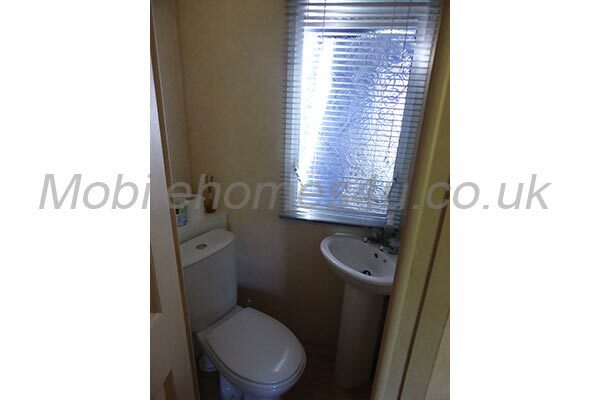 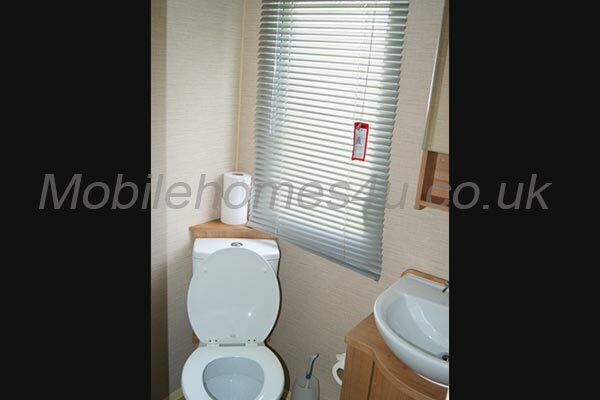 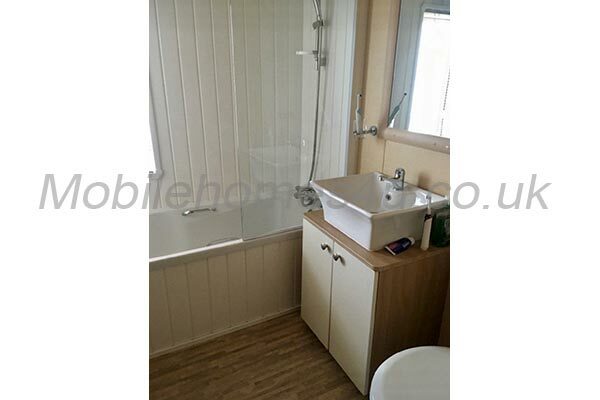 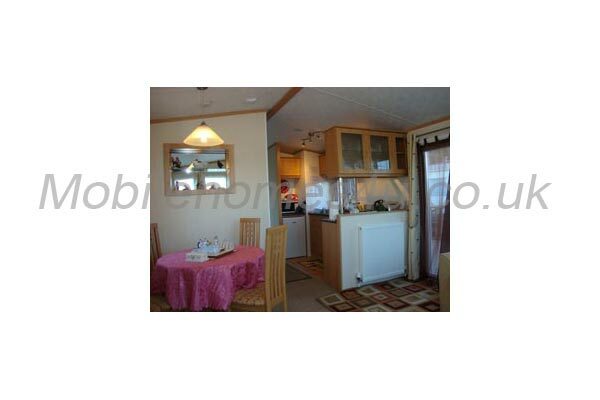 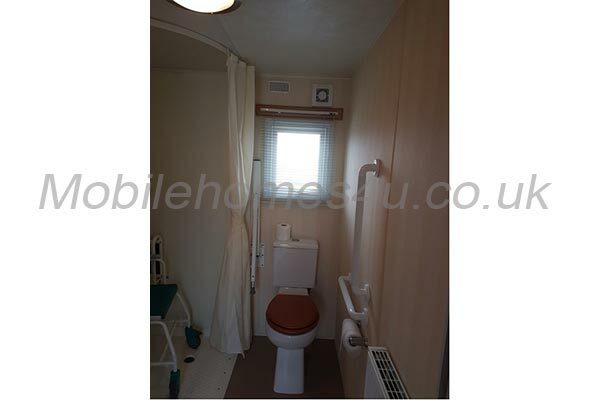 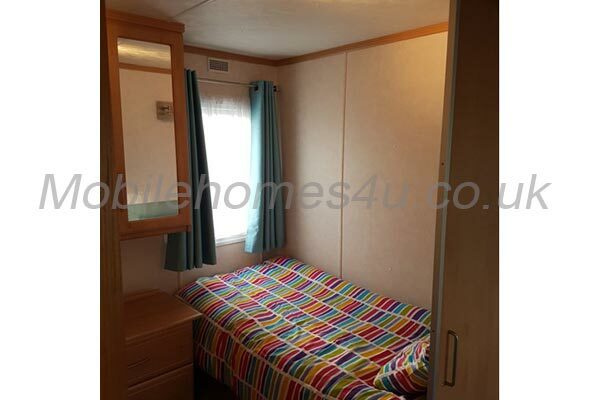 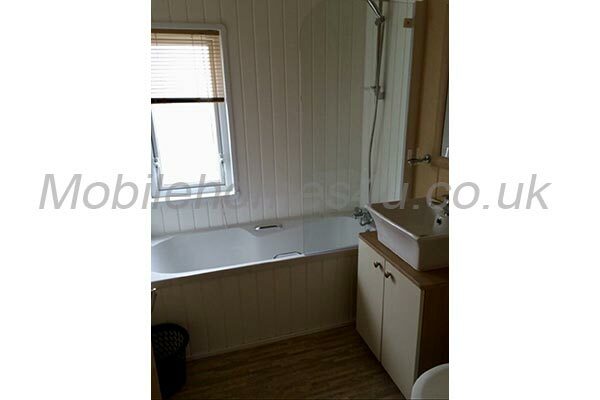 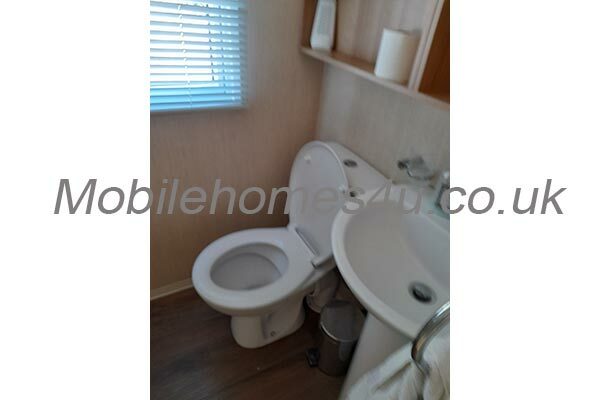 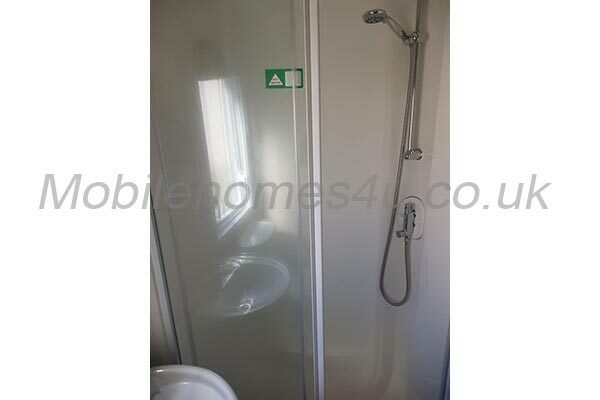 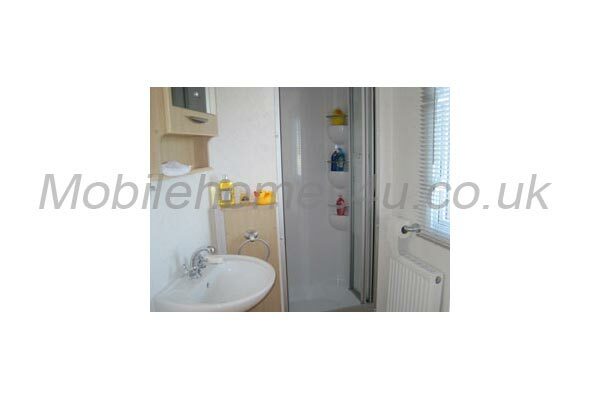 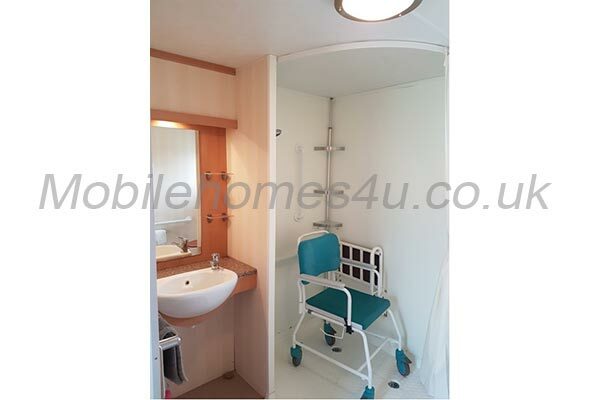 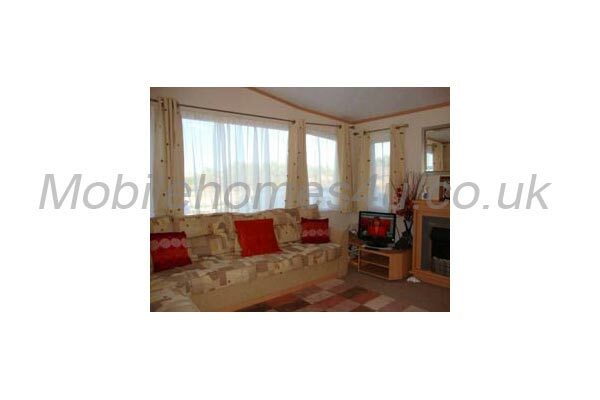 It has central heating, is fully doubled glazed home and has an alarm. 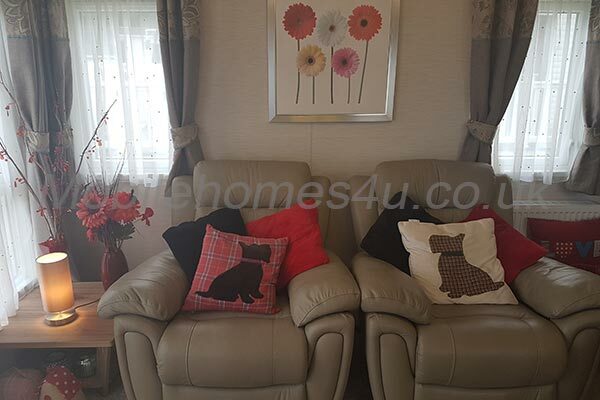 We are a pet friendly van and welcome WELL BEHAVED and friendly pets. 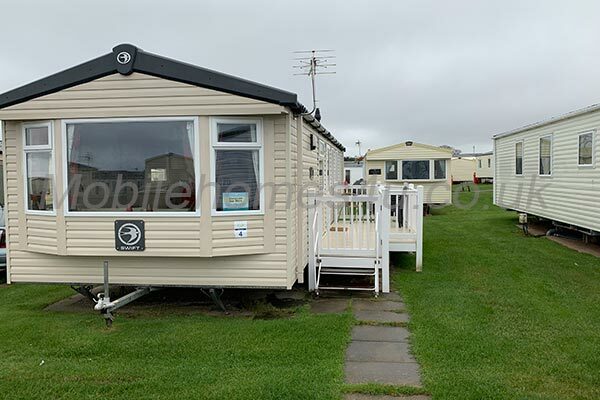 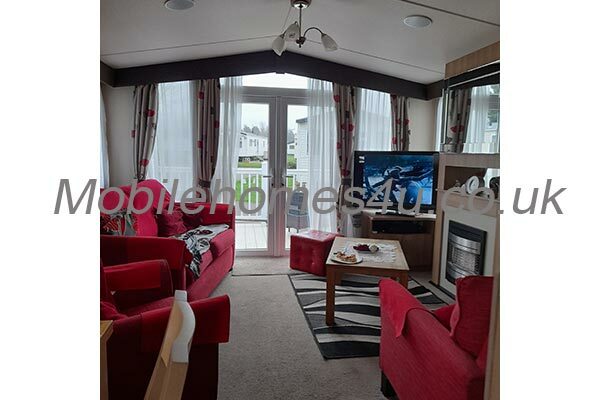 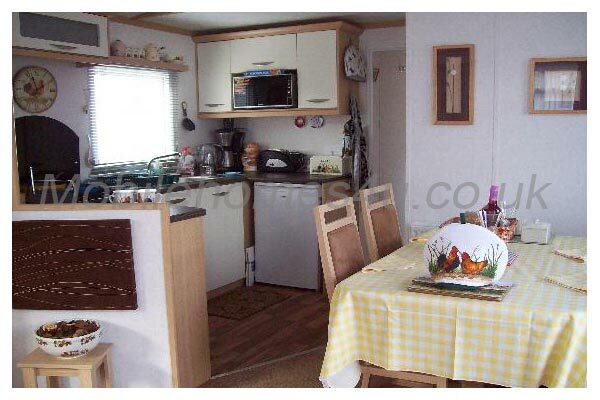 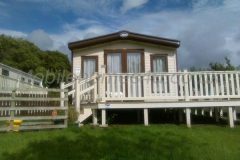 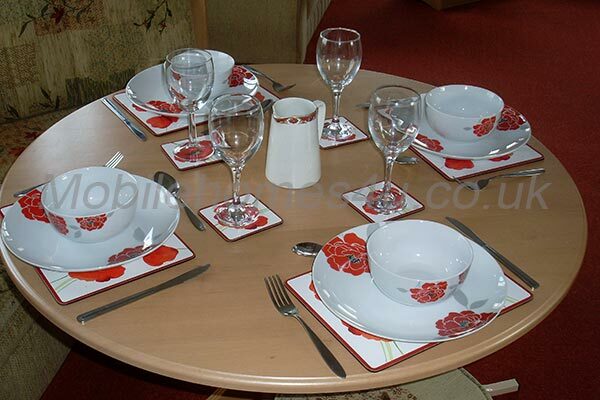 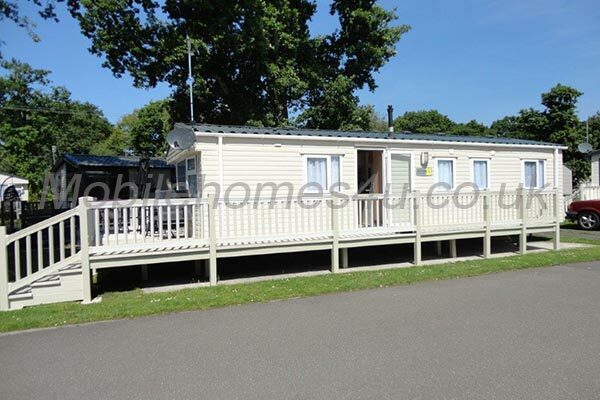 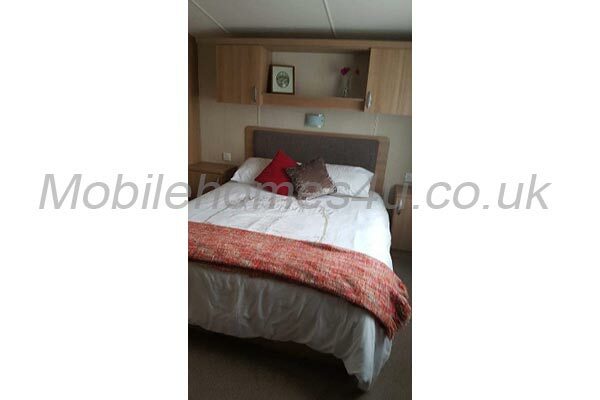 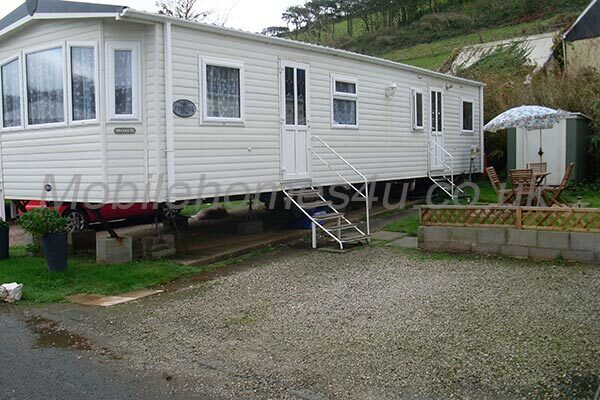 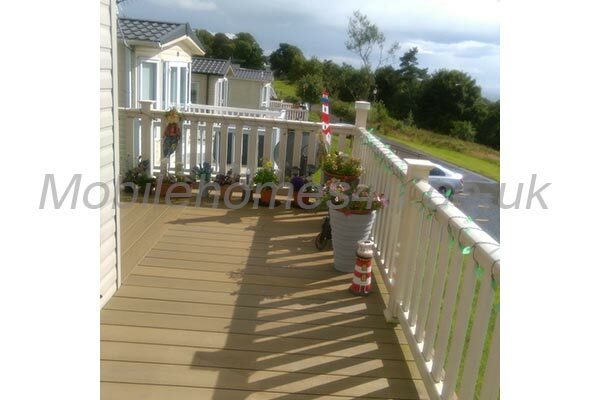 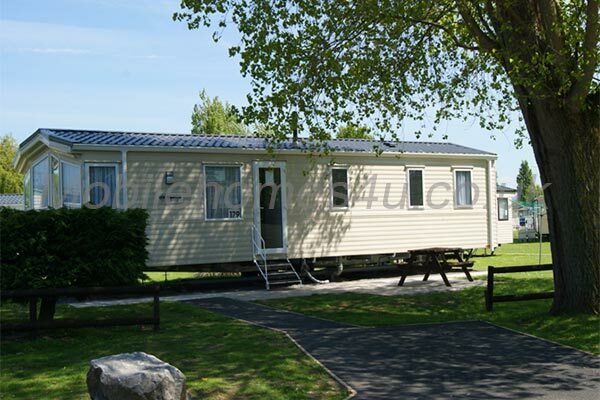 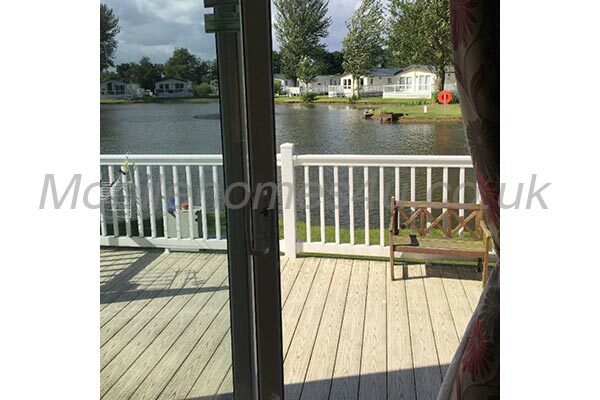 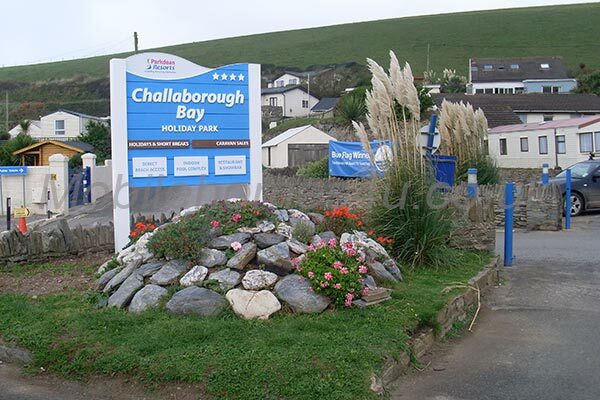 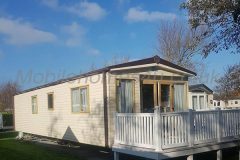 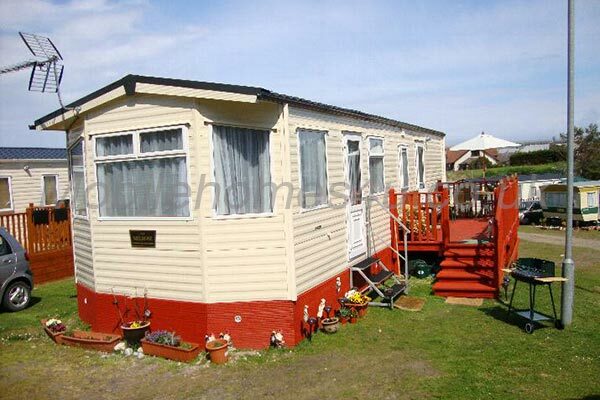 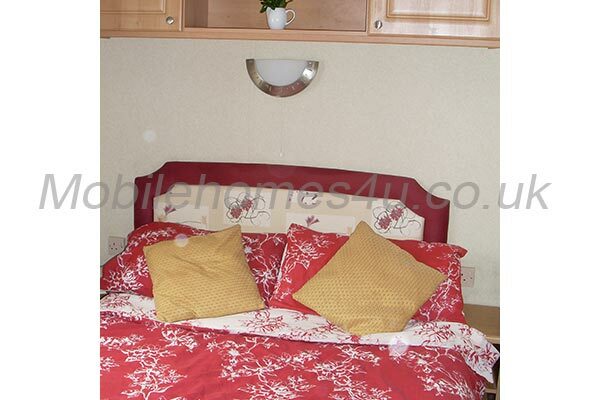 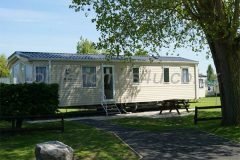 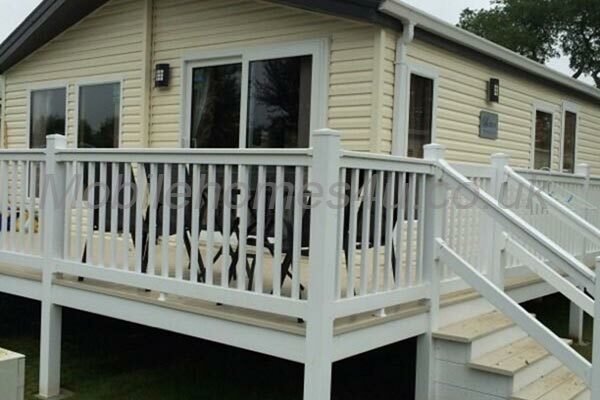 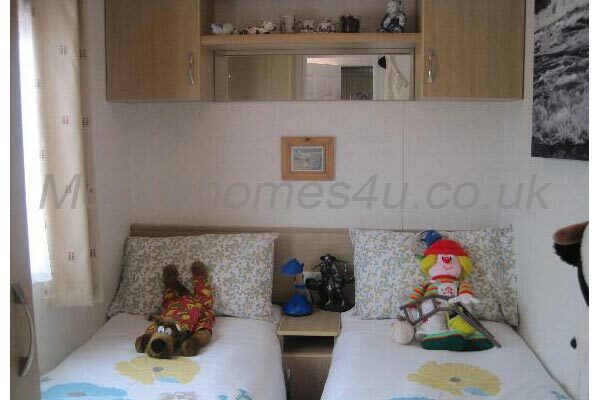 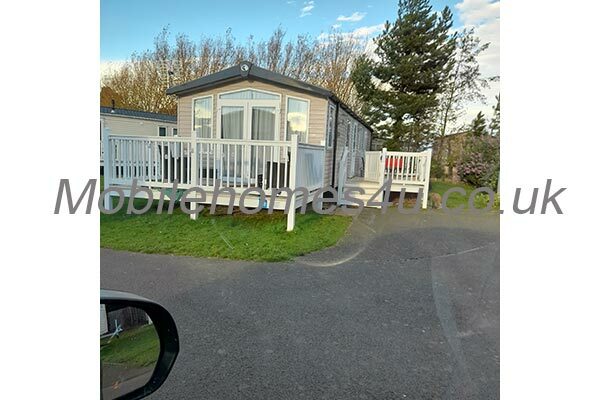 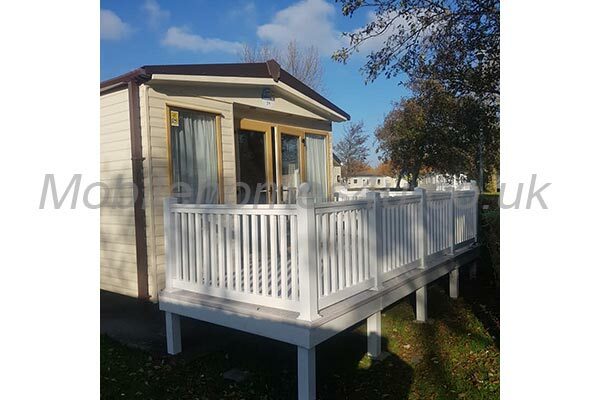 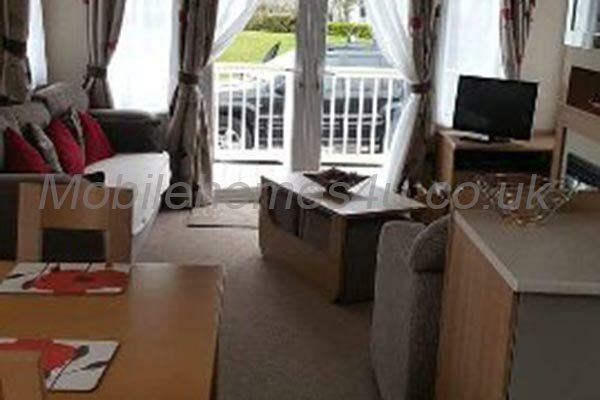 Challabourough Bay Holiday Park is set in a beautiful sheltered cove. 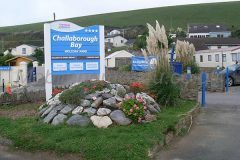 Relax and enjoy a well maintained, blue flag sandy beach and the views along the rugged coastline and out to the unique Burgh island. 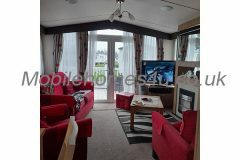 There is direct access to coastal paths leading to other family friendly beaches for you to walk and explore. 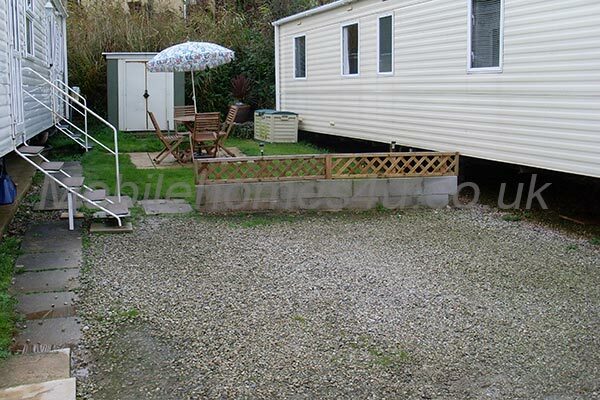 The holiday park offers a variety of activities for the whole family to enjoy. 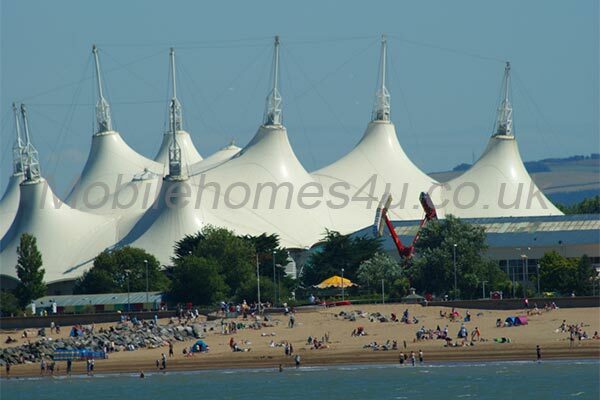 There are many places to visit and explore for great days out just a short drive away from the site. 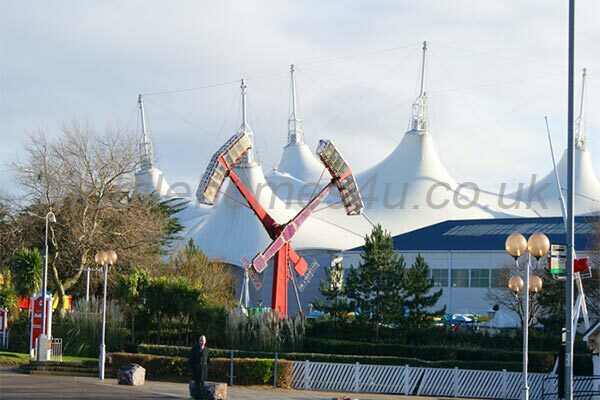 On site there is a restaurant, pub/club, amusements, indoor pool and kids club. 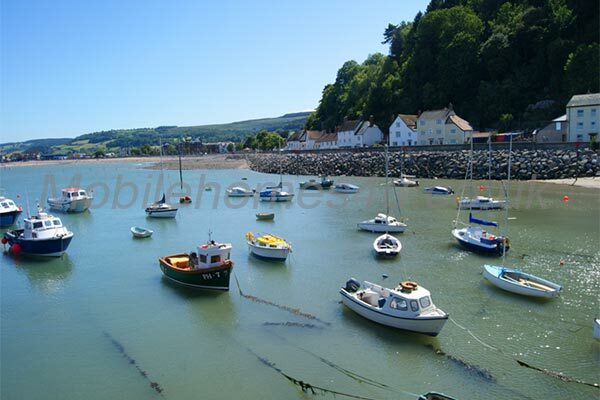 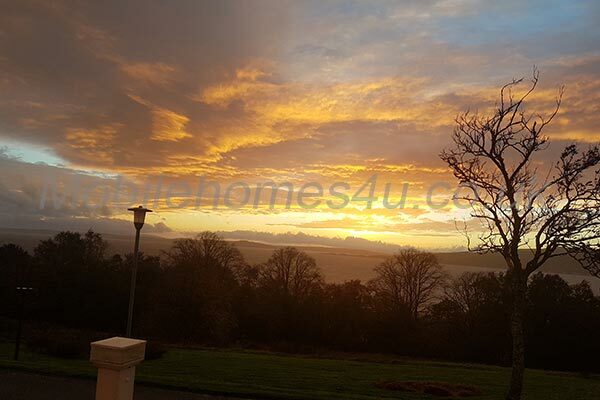 Visit Buckfast steam railway and the ancient abbey, Woodlands Adventure Park, Pennywell Farm, Paignton Zoo, The beautiful Dartmouth town, historic Plymouth, Salcombe or Slapton sands to name but a few. 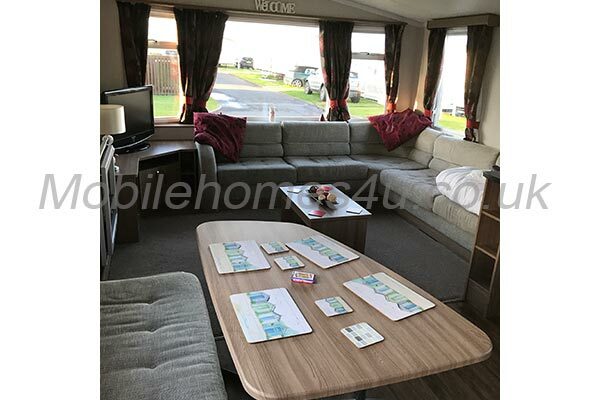 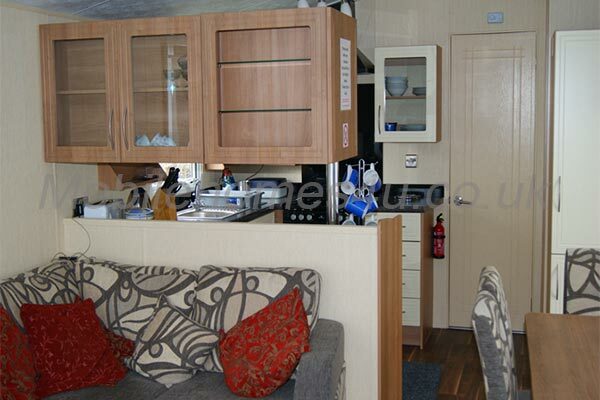 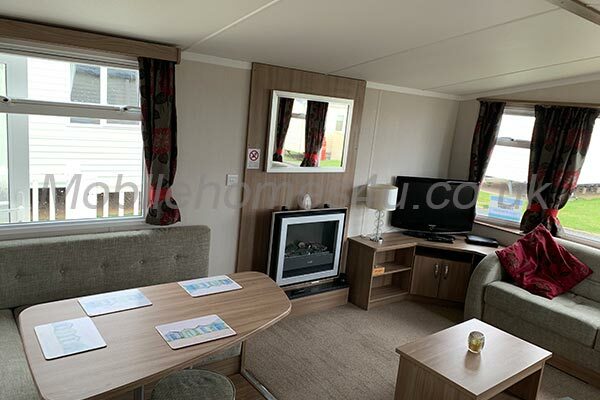 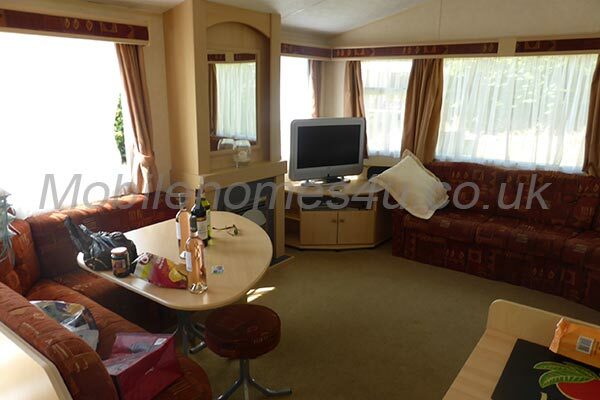 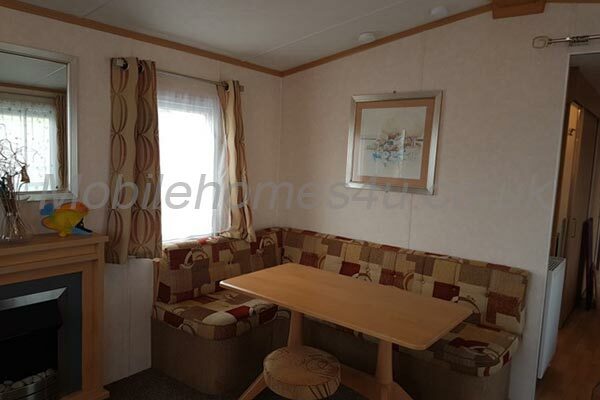 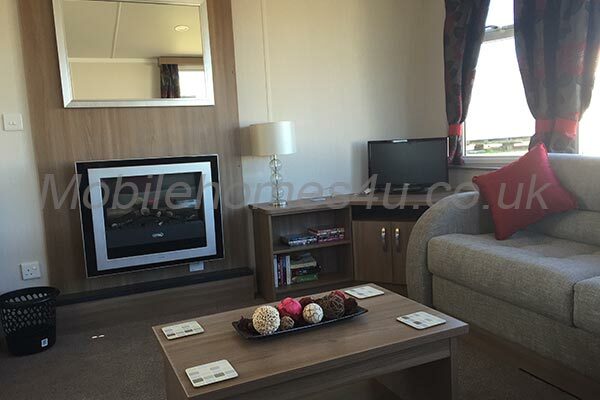 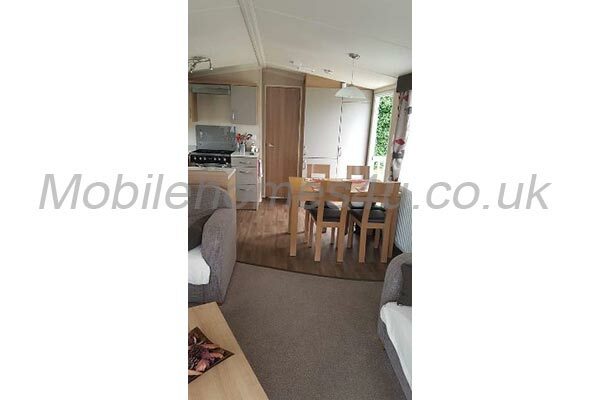 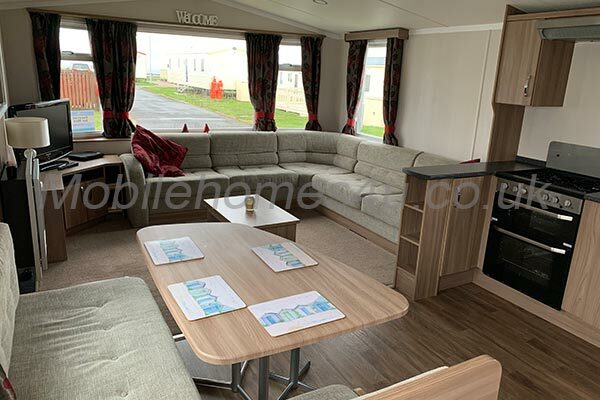 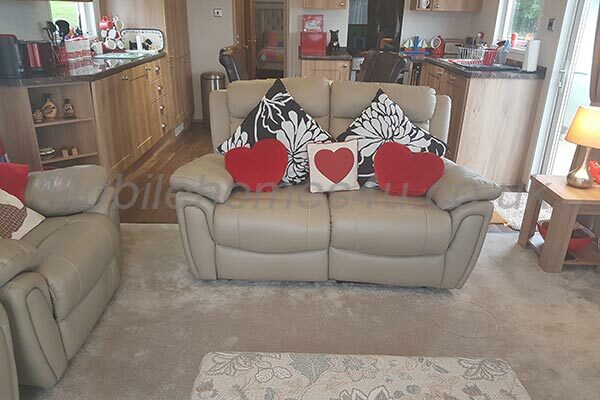 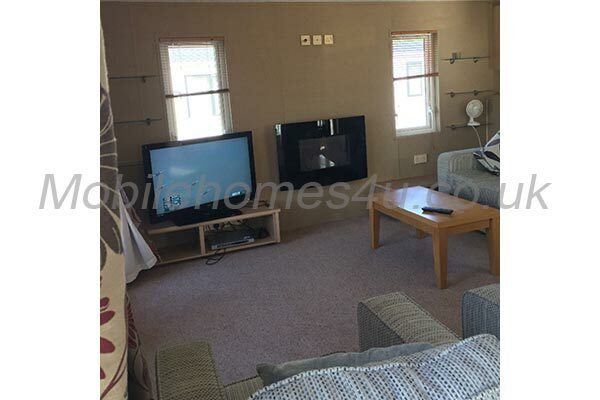 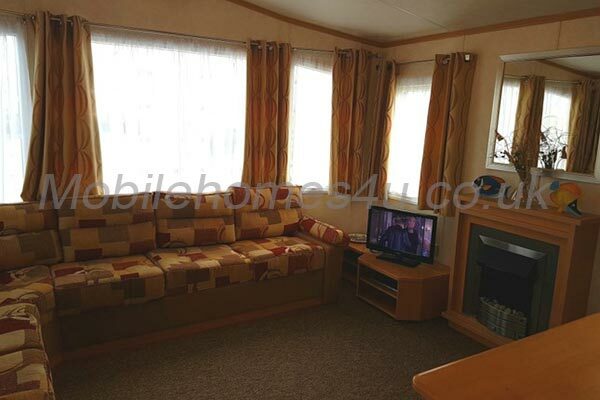 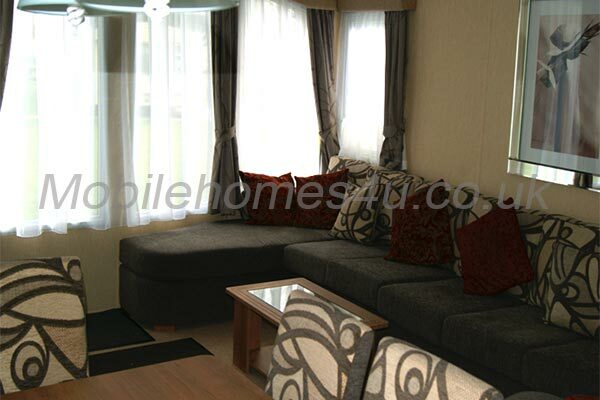 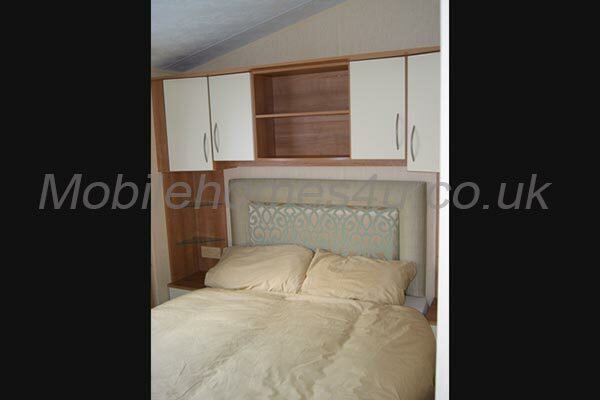 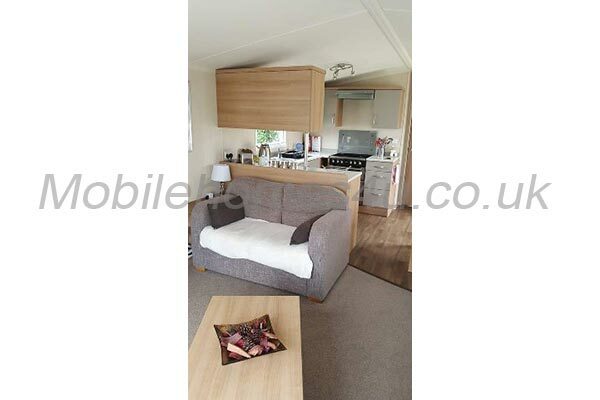 The spacious lounge has comfortable seating, TV DVD player and gas fire. 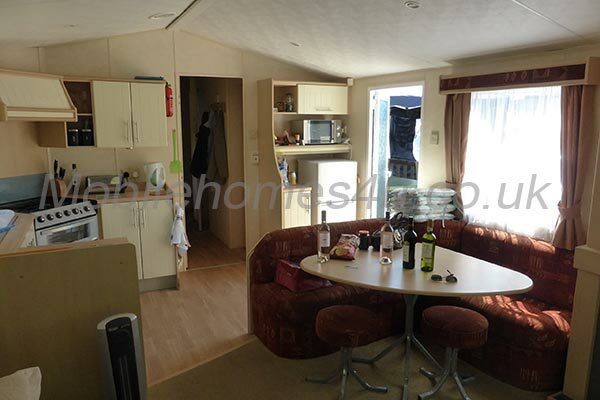 The lounge is open plan leading into the kitchen and dining area. 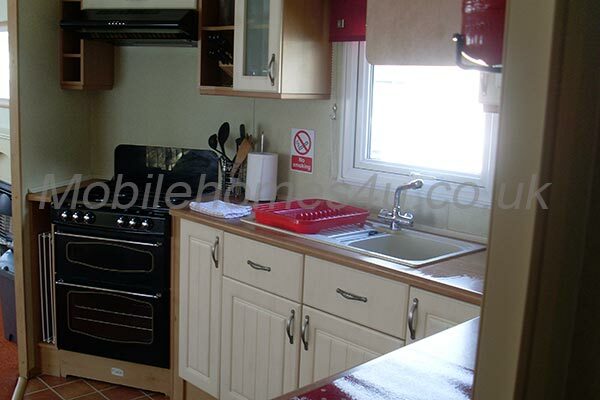 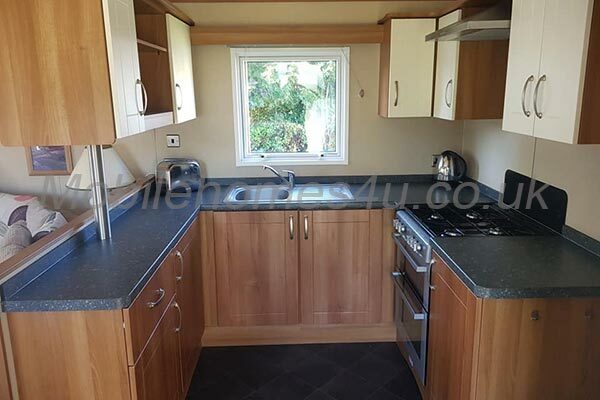 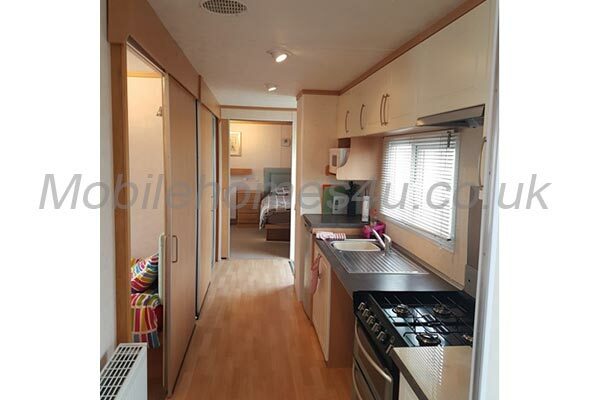 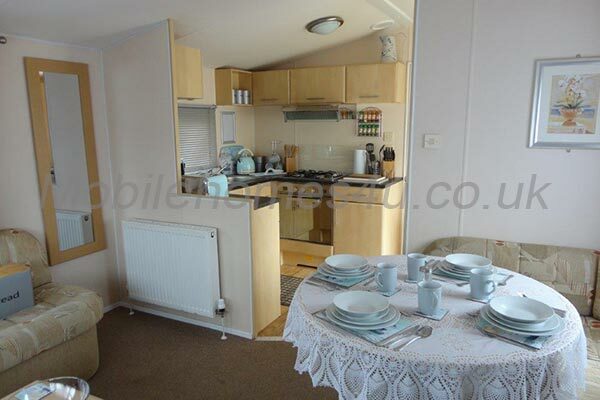 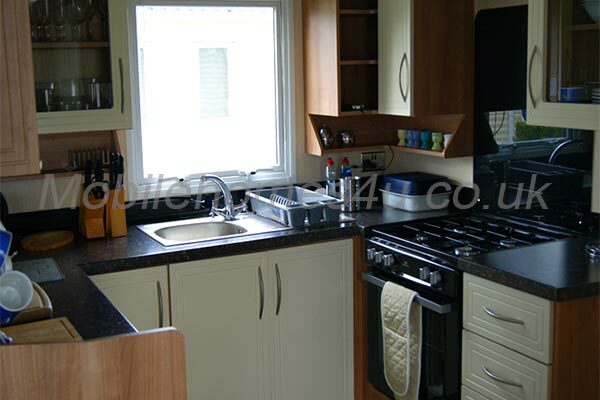 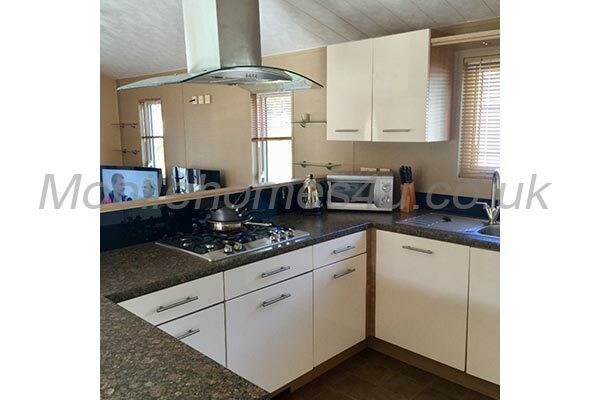 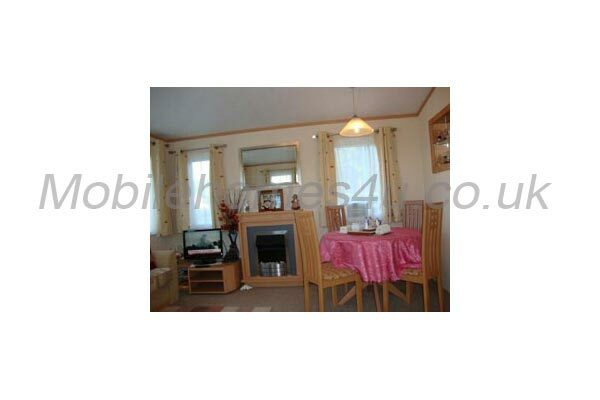 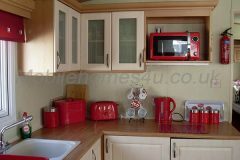 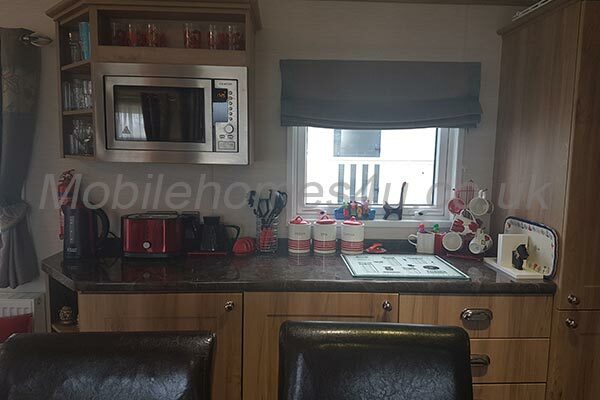 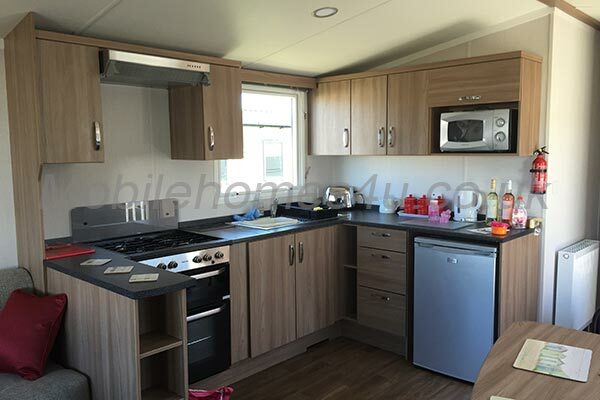 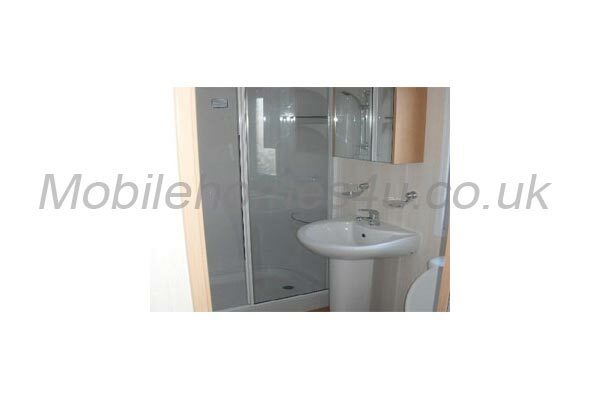 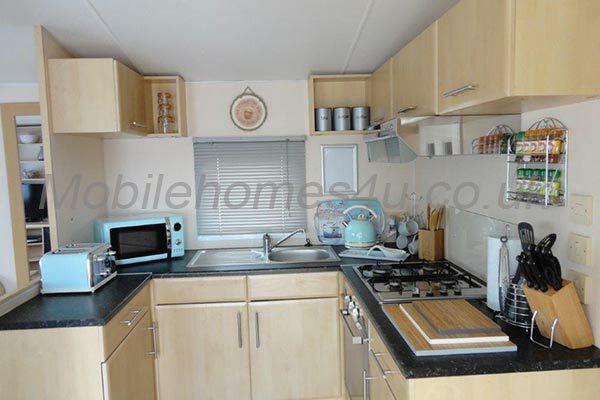 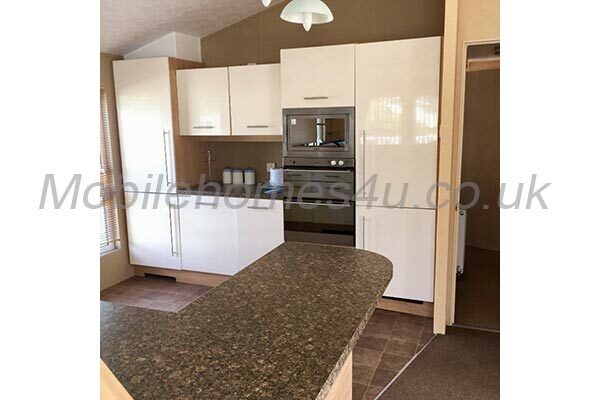 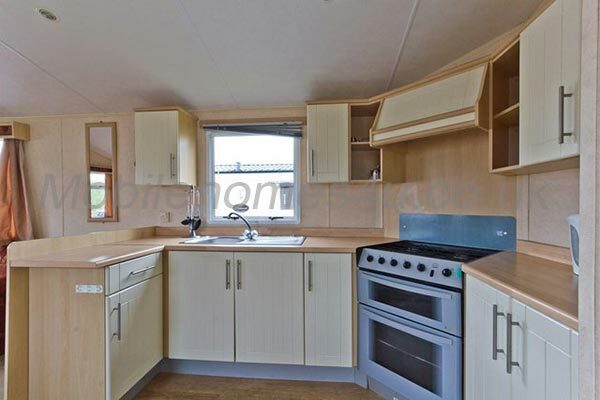 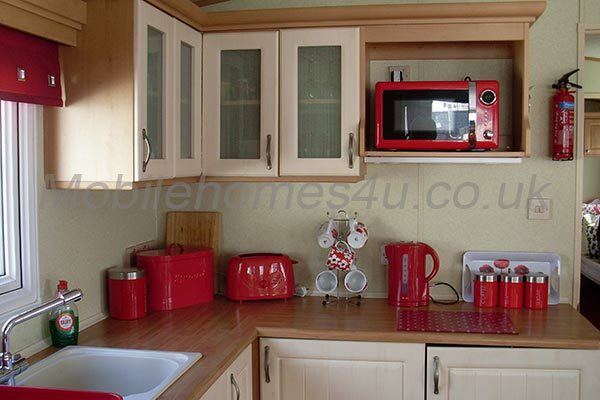 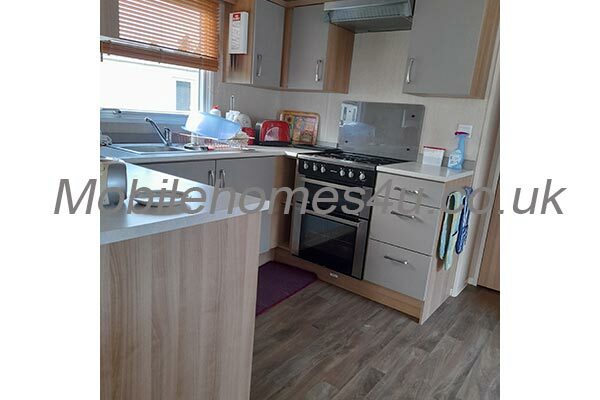 The kitchen is fully equipped with all essentials including fridge freezer, iron toaster and microwave. 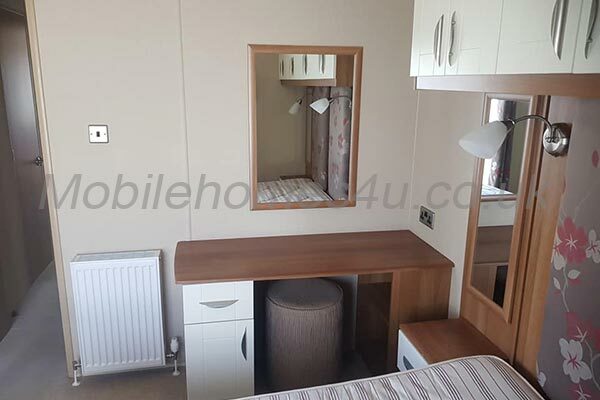 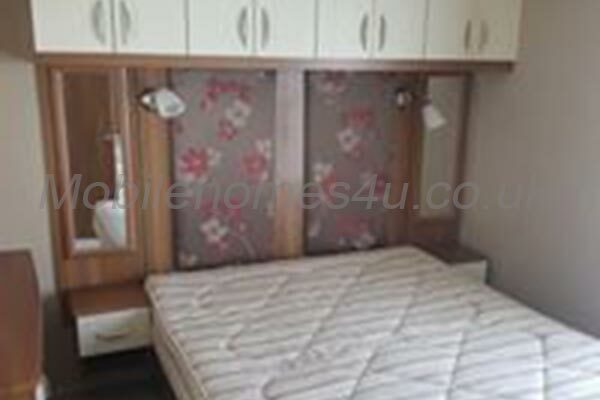 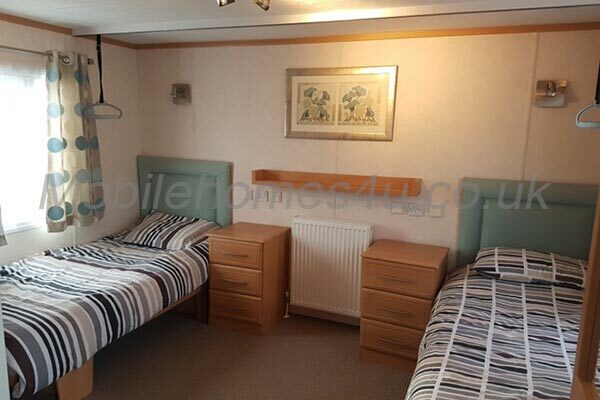 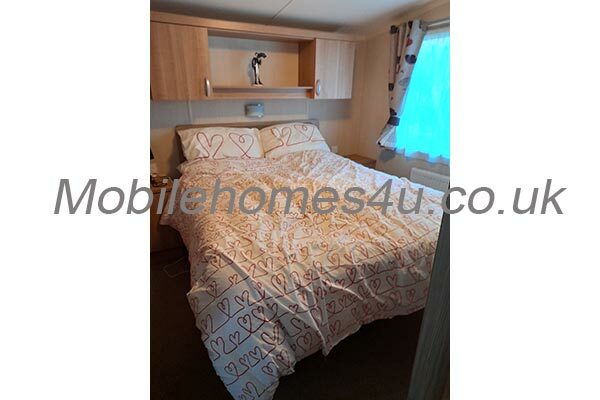 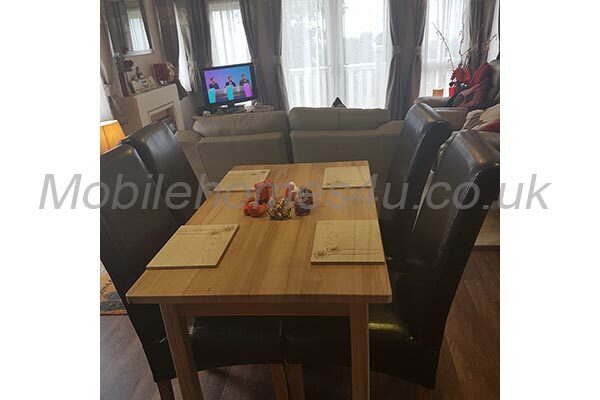 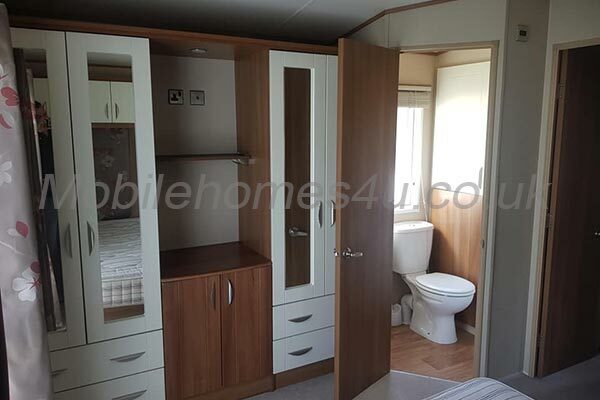 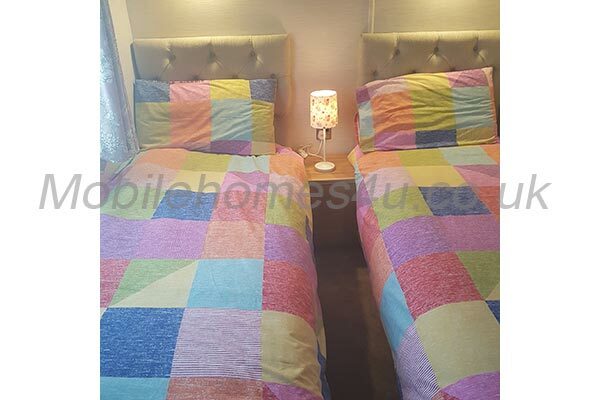 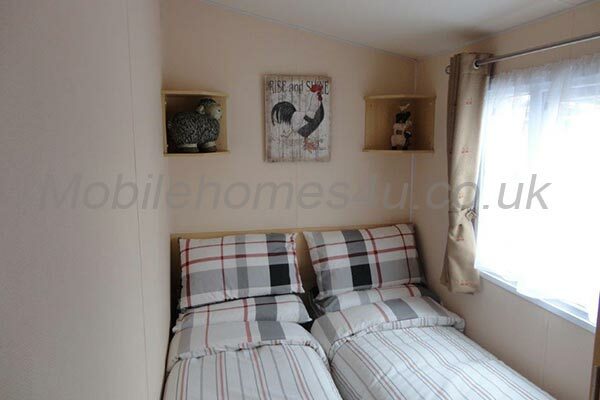 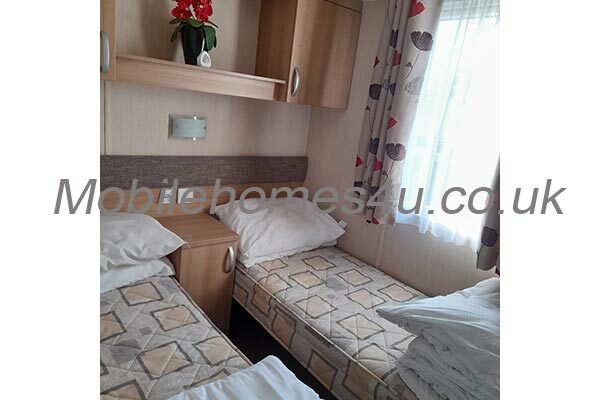 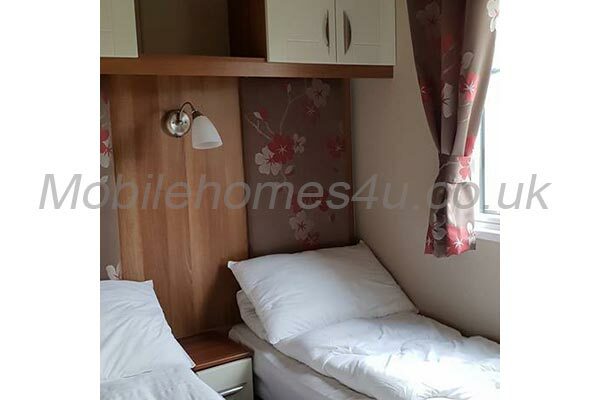 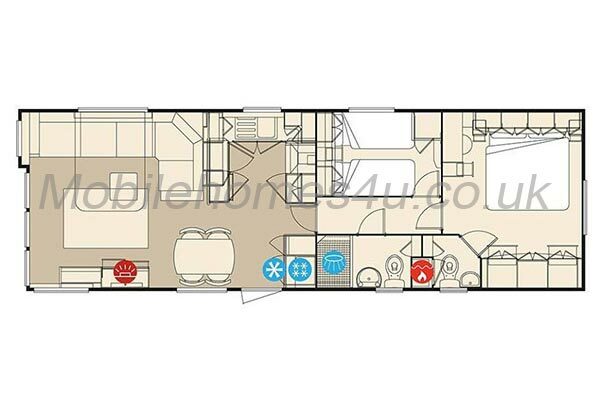 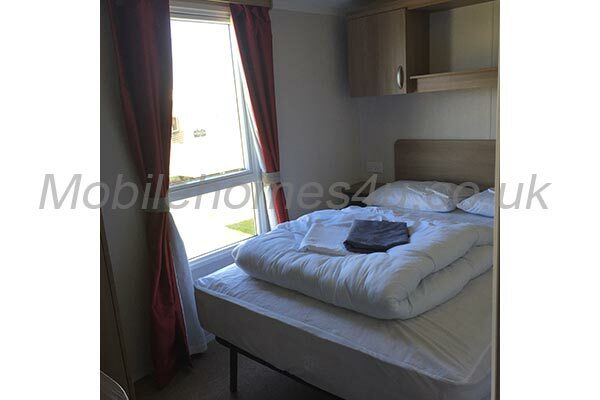 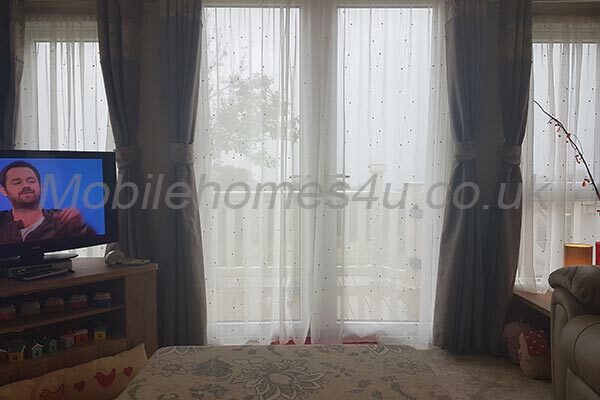 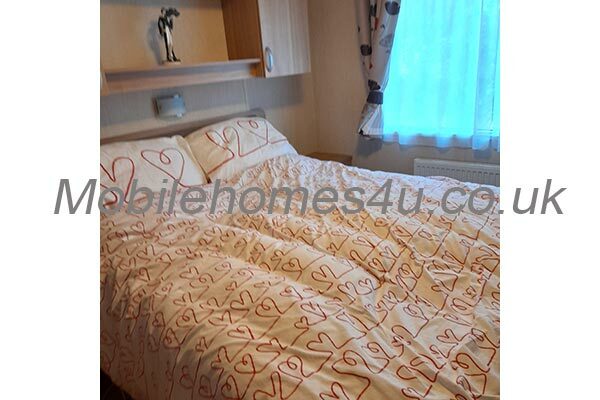 There are three bedrooms, the master has a double bed and wardrobe and there are two further bedrooms which have twin beds. Outside there is a patio area with garden chairs. 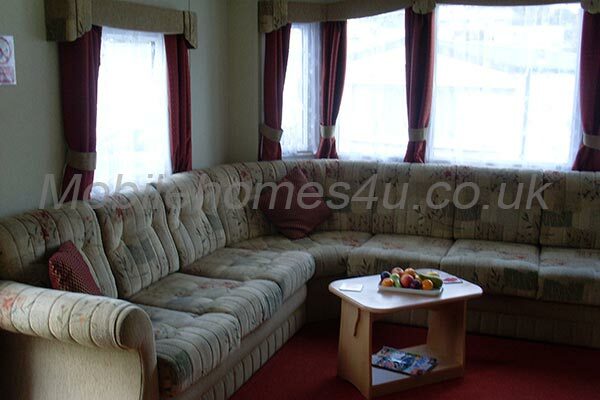 We are a pet friendly van and welcome WELL BEHAVED and friendly pets (no more than two per booking). 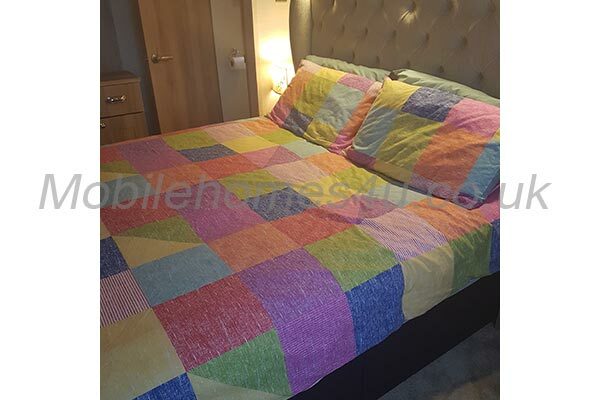 We do provide pillows and duvets for all the beds but would ask you to provide your own bed linen and towels. 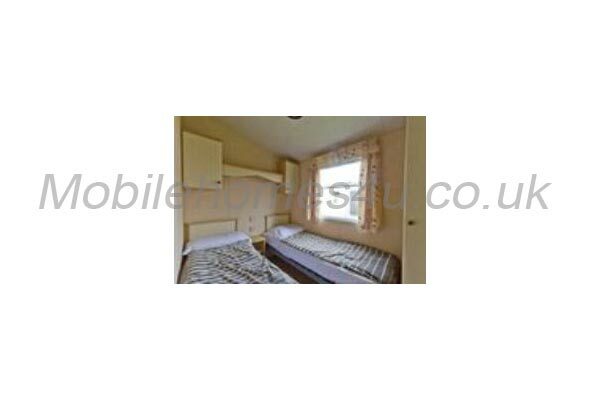 A total week is from Friday to Friday. 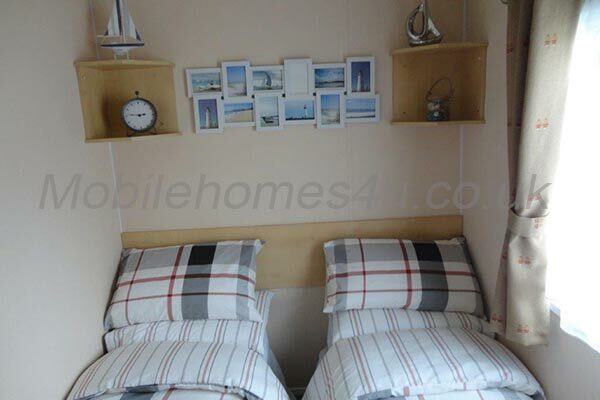 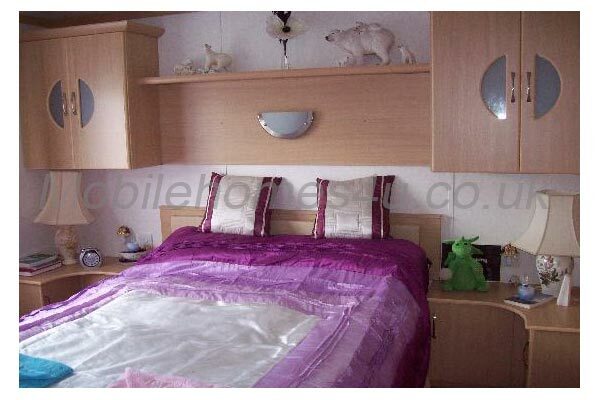 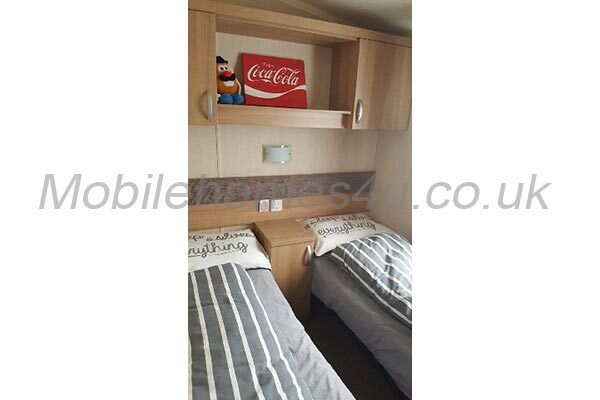 Easter holidays - £325 for a week. 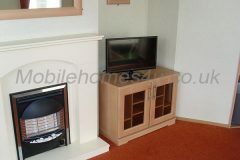 Or £275 Monday to Friday and £225 Friday to Monday. Easter weekend is £325. 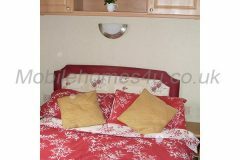 March/April - £325 for a week. 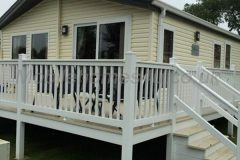 Or £275 Monday to Friday and £225 Friday to Monday. 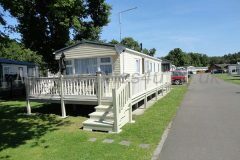 1st bank holiday weekend in May - £275 Friday to Monday. 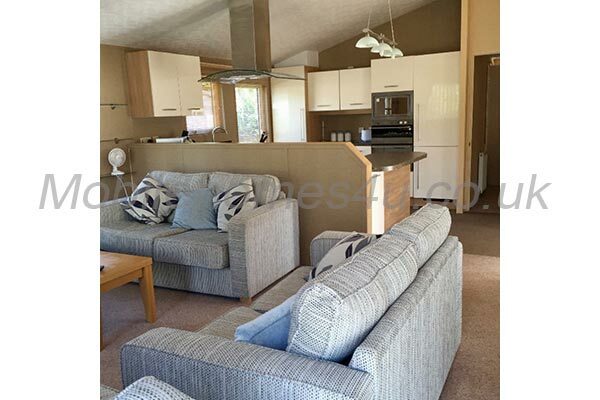 May half term - £525 Friday to Friday, May bank holiday weekend from Friday to Monday £375. Monday to Friday is £425. 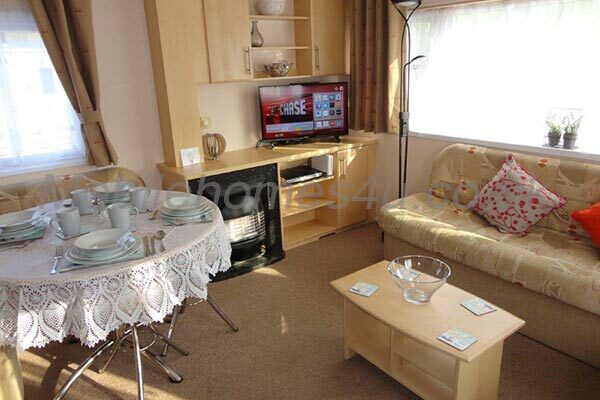 May/June - £475 for a week. Or £325 Monday to Friday or £275 Friday to Monday. 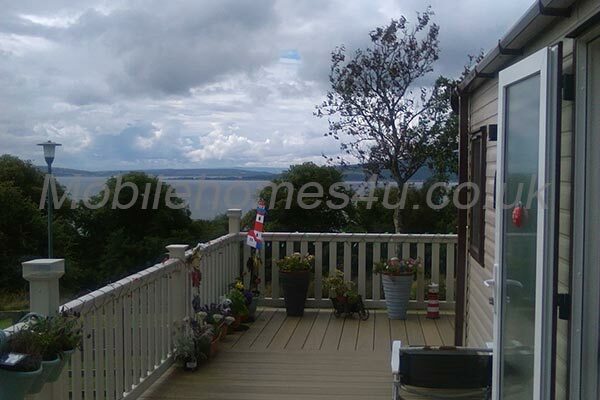 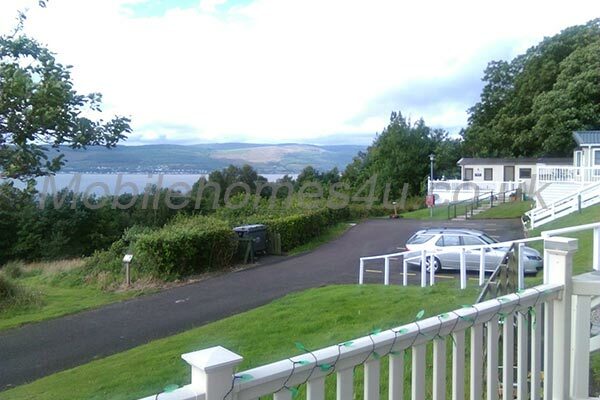 July before the school holiday - £525 for a week. 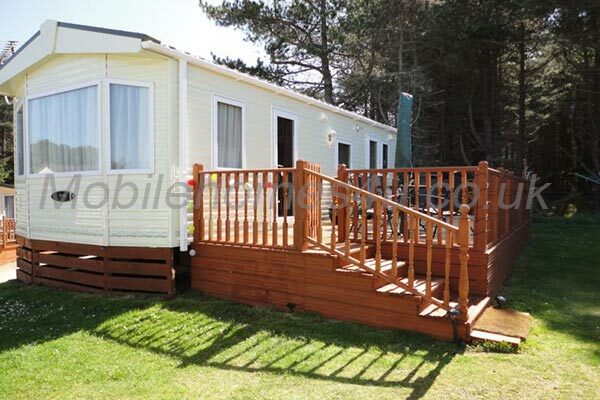 Or £375 Monday to Friday or £325 Friday to Monday. 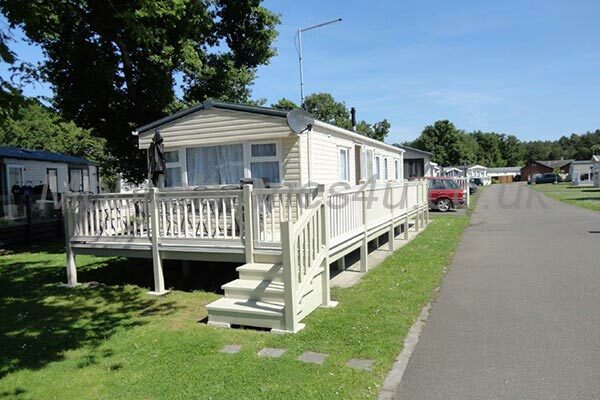 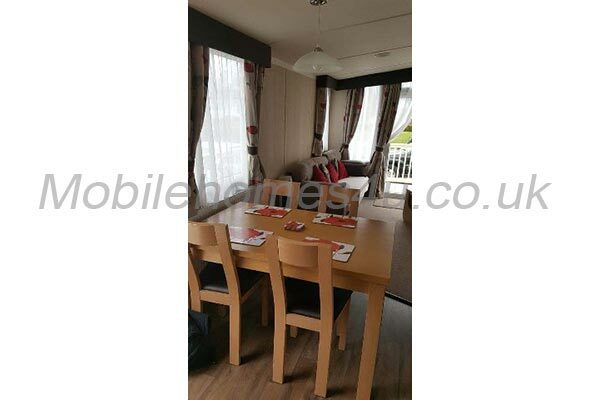 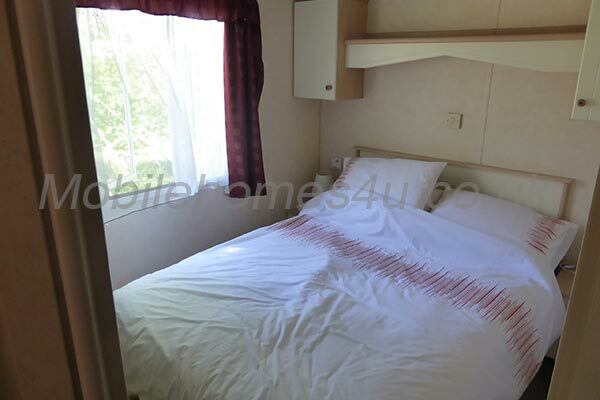 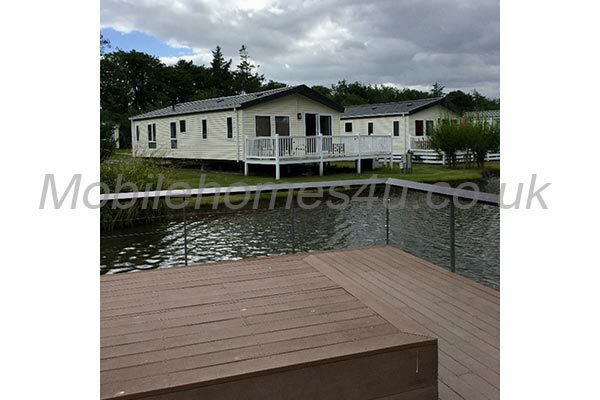 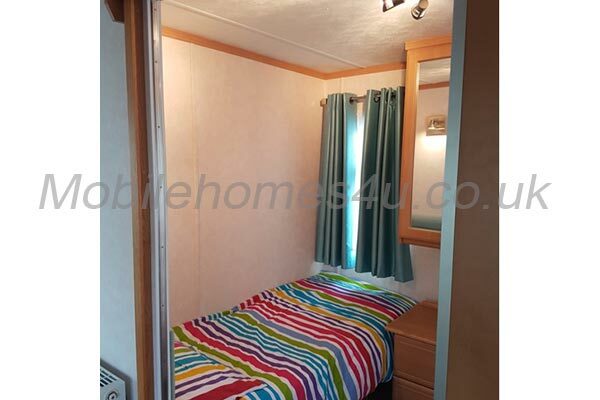 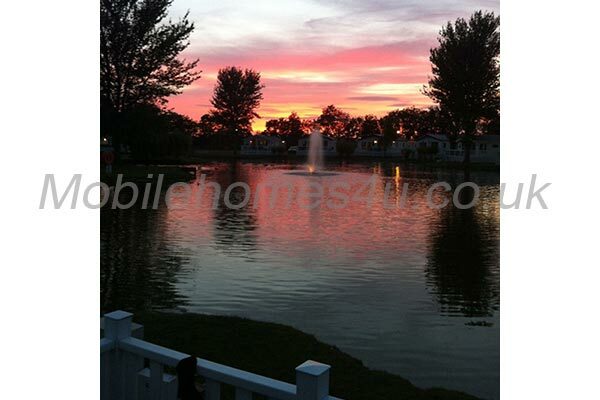 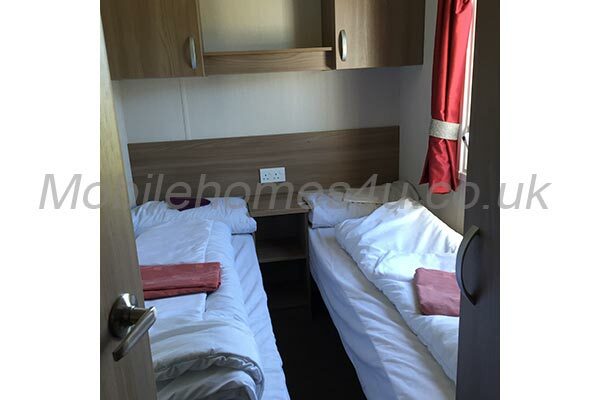 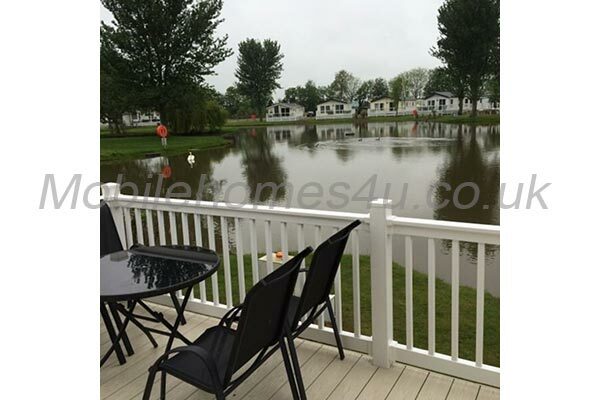 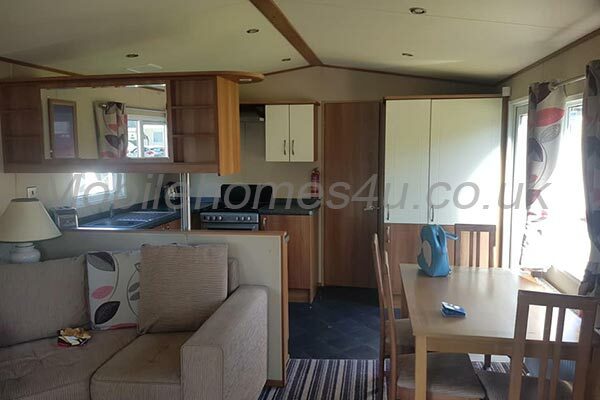 Summer holidays - £775 per week. 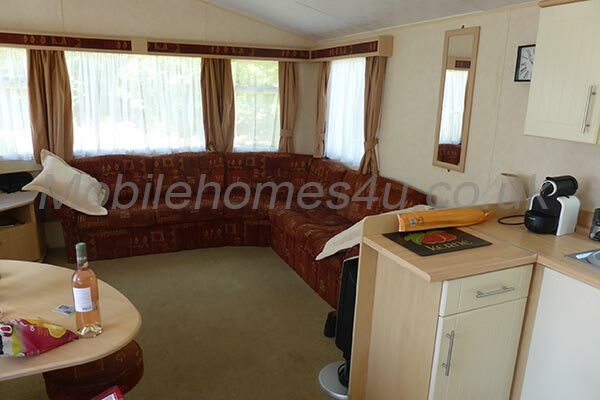 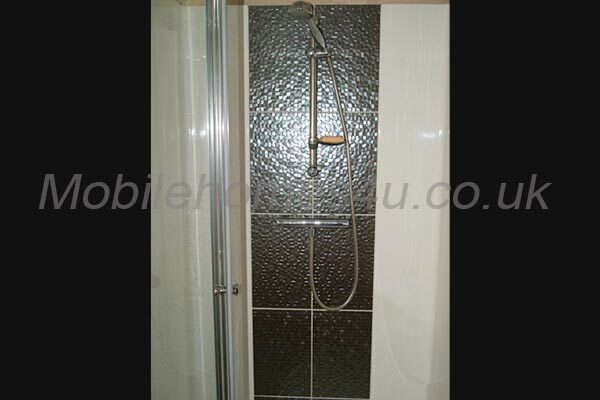 Or £525 from Monday to Friday and £475 from Friday to Monday. 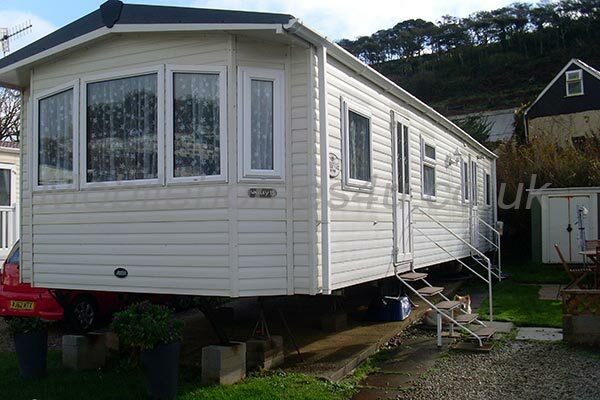 September - £425 per week. 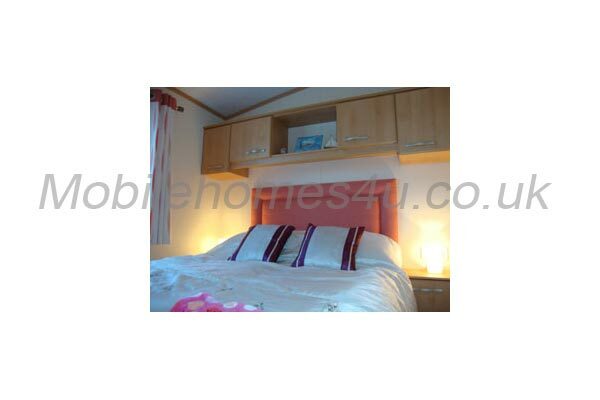 Or £325 Monday to Friday and £275 Friday to Monday. 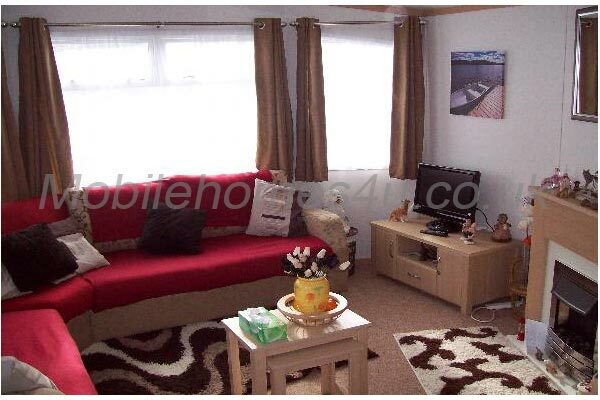 October (not half term) - £325 for a week. 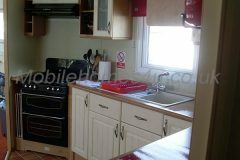 Or £275 Monday to Friday and £225 Friday to Monday. October Half Term - £475 per week. 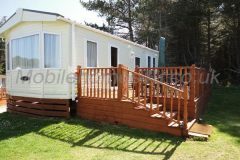 Or £325 Monday to Friday and £275 Friday to Monday.